How Do Monkeys Mate and Reproduce? 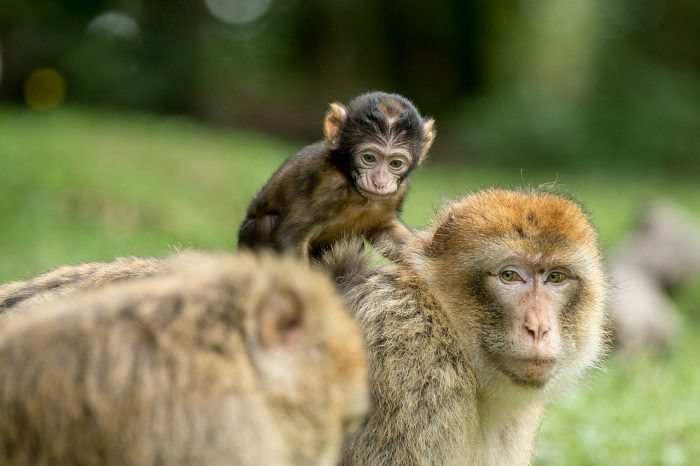 Reproductive habits of monkeys depends heavily on the specific breed; however, most monkeys begin reproducing at around the age of 4 or 5 years. The biggest and strongest male is going to attract the attention of females, and he is the only one who will breed within that group. This leads to quite a bit of competition among the males in a group, who will occasionally fight for dominance. Some young males who mature within a group will leave the group to start their own. At times, they will fight the dominant male of an existing group in order to take over that group. When that happens, he also proceeds to kill the remaining young in order to spawn the desire to mate among the females.